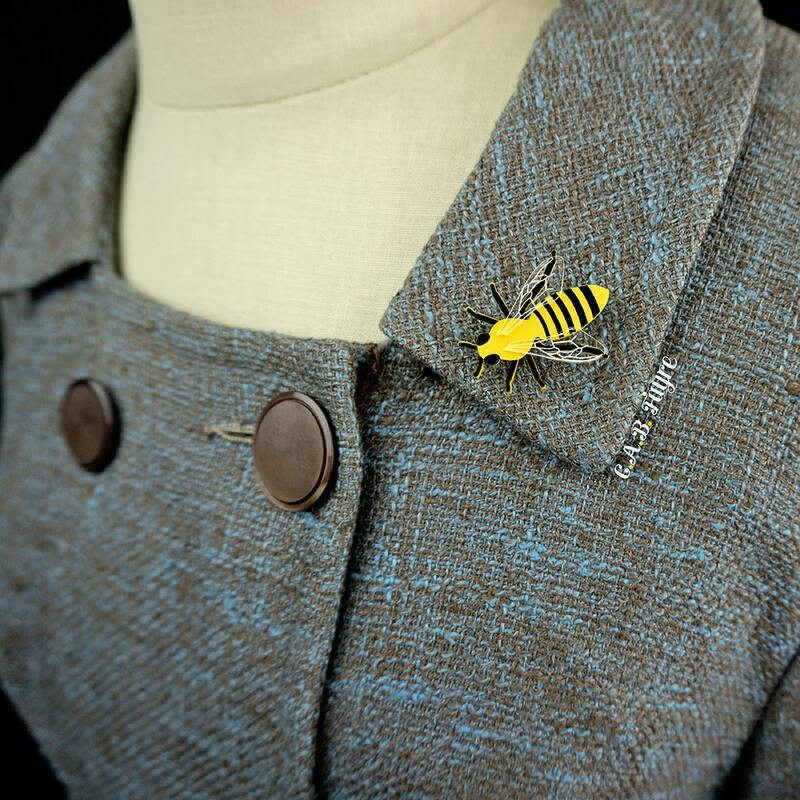 Part of our "The Bee's Knees" mini collection. 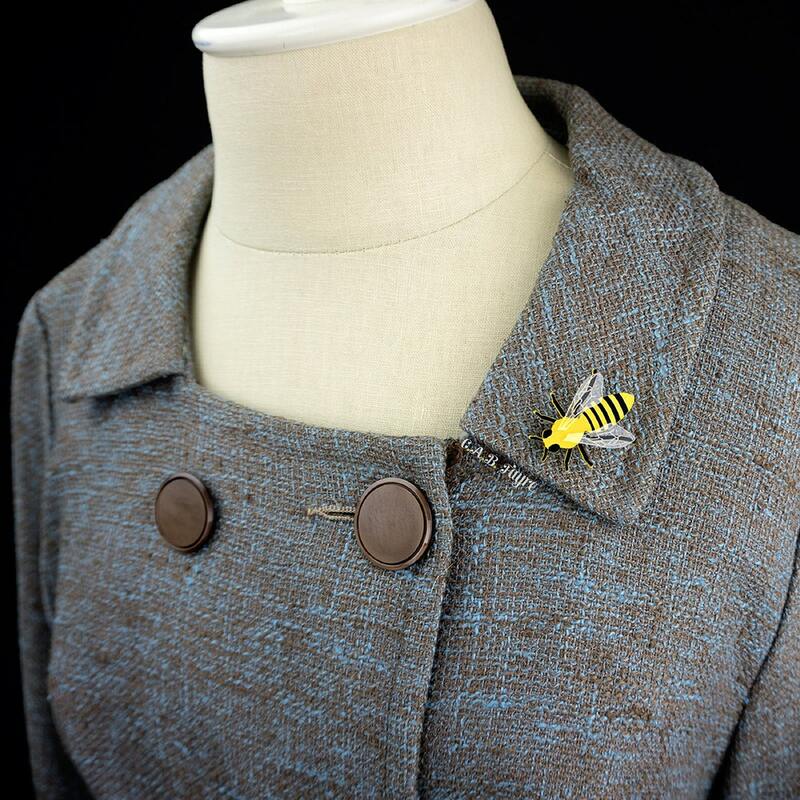 This Queen Bee worthy brooch is made of 2 layers of acrylic (a yellow bee, & the bee's clear wings). The Bee's yellow body has been engraved to create it's black details and its clear acrylic wings have been engraved with a vein design. Pin this little guy to practically anything: clothes, purses, bags, scarves, hats, hair accessories, belts, wedding bouquets, curtains, wreaths, etc!